The Paducah Convention & Visitors Bureau is proud to announce the promotion of Laura Schaumburg to Marketing Director. Laura will be responsible for all aspects of the destination’s strategic marketing and public relations, including the management of the Paducah brand which is used to attract visitors from around the world. 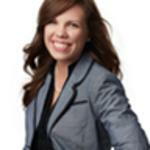 Laura first joined the Paducah CVB team in 2008 as a Marketing Intern. She assumed the role of Marketing Assistant in January 2011 and was recently promoted to Marketing ¬Director following the retirement of past Marketing Director Rosemarie Steele. "After working with the CVB for four years, I am thrilled to have this opportunity to use my marketing and public relations skills to direct strategies to bring more visitors to Paducah from all over the world," said Schaumburg. A graduate of Murray State University, Schaumburg earned a Bachelor of Science degree in Public Relations and Marketing in December 2010. She has continued to advance her professional development through the Kentucky Tourism Institute certification programs and Professional in Destination Management Certificate program through Destination Marketing Association International (DMAI) and George Washington University. She was selected as the 2012 Young Leaders of Western Kentucky Young Leader of the Year and for DMAI’s 30 Under 30 program as a rising star in the tourism industry. The Paducah Convention and Visitors Bureau, the official Destination Marketing Organization for Paducah/ McCracken County, is responsible for generating incremental economic benefit to the community through the attraction and retention of leisure, meeting and group tour visitors, including weddings, family reunions, sporting events, conventions and trade shows. The CVB’s overall goal is to ensure a positive visitor experience. For more information about the Paducah Convention & Visitors Bureau, visit www.Paducah.travel or contact Marketing Director, Laura Schaumburg at 270.443.8783 or laura@paducah.travel.